While traveling in China with my family, I enjoyed lots of delicious food. And with each great meal, I thought of that young lady. I agree with her; the food in China is delicious! We had a number of delicious and memorable culinary experiences in China. While in Beijing, we stayed in an AirBnB apartment owned by an American family and run by Holly, a wonderful Chinese woman. We told Holly how much we love dumplings, and she agreed to teach us how to make them. She started with a trip to a local market, which I never could have found on my own. Walking from our apartment, we ventured off the main road and turned into a small side street that became a walking path. 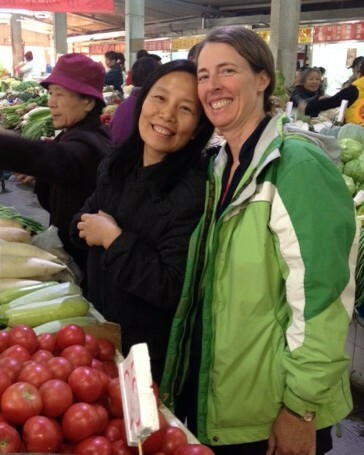 Eventually, we entered a nondescript building that held a bustling market filled with local produce and baked goods. Then, we returned to our apartment where Holly led a cooking class for our family. 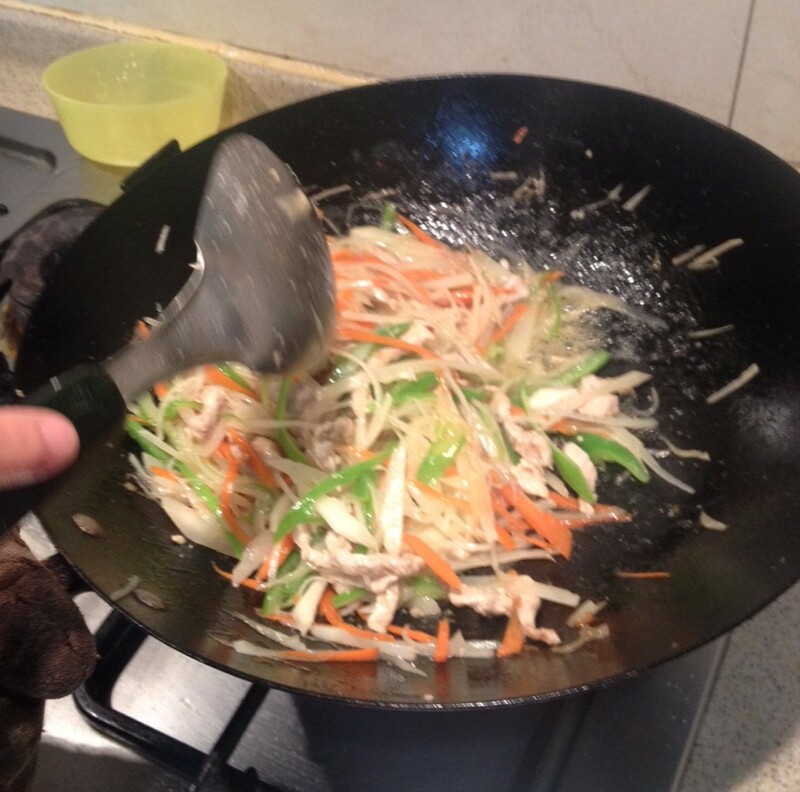 She taught us to make the filling, which included pork, cabbage, carrots, onions, spices, vinegar, and soy sauce stir fried in the wok. 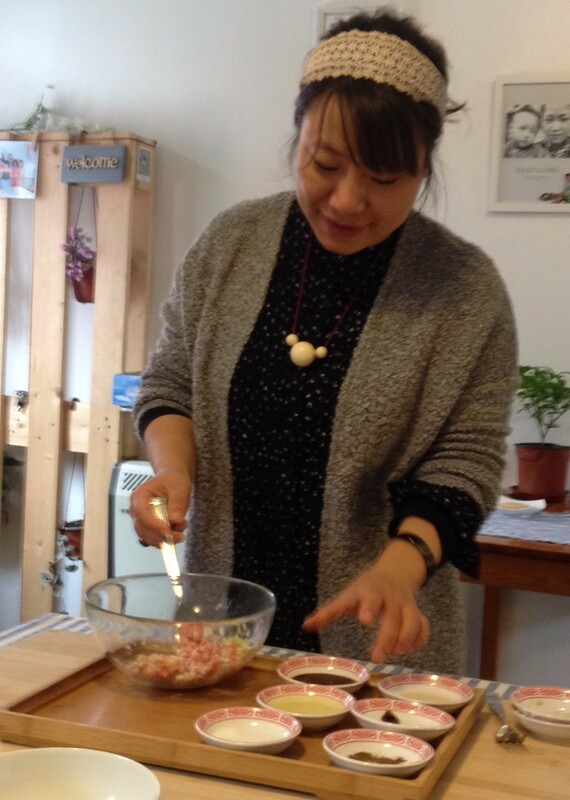 Then, she taught us how to mix flour and water with chopsticks until the dough was firm and ready to knead. Holly pinched off small bits, rolled them out, filled them, and cooked them in a pot of boiling water. Then, we joined other Chinese friends from the neighborhood around the kitchen table eating lots of dumplings. Delicious and memorable! We received another cooking lesson while in Beijing. 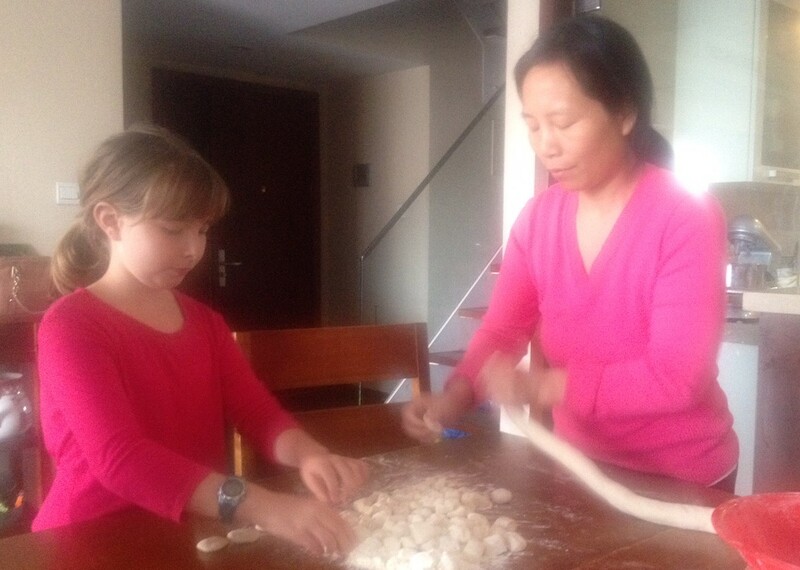 We went to Mama’s Lunch for a dumpling and noodle lesson. Our gracious host and excellent teacher, Joyce, greeted us with tea and snacks before beginning the class. 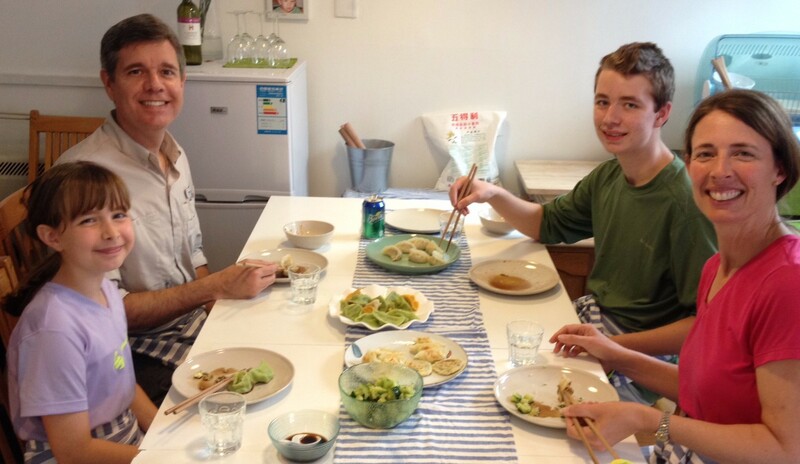 We made regular dumplings as well as green dumplings with spinach water and orange dumplings from pumpkin water. In addition to the traditional filling of pork and spices, Joyce taught us how to make a filling of scrambled eggs with chives. 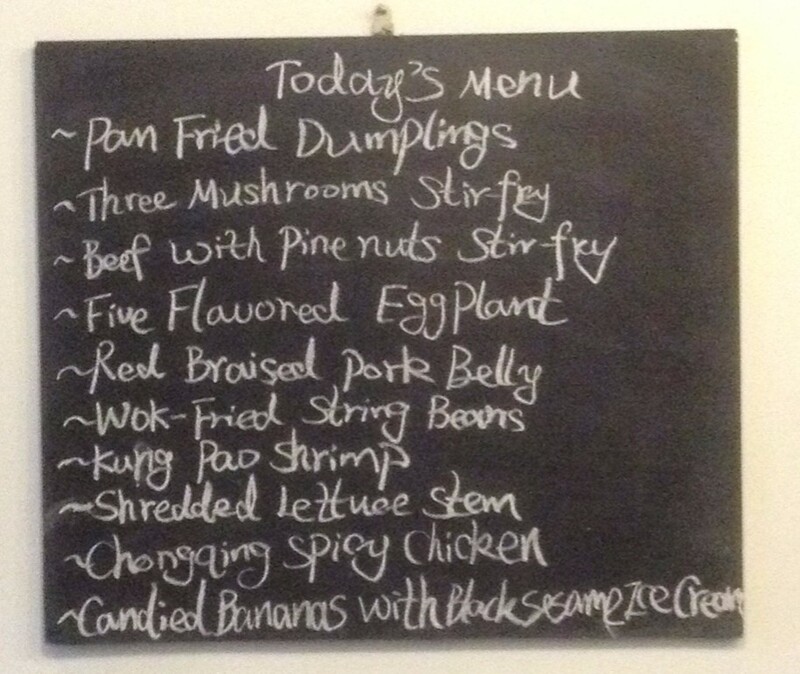 We then shared a feast of boiled and fried dumplings. Delicious! 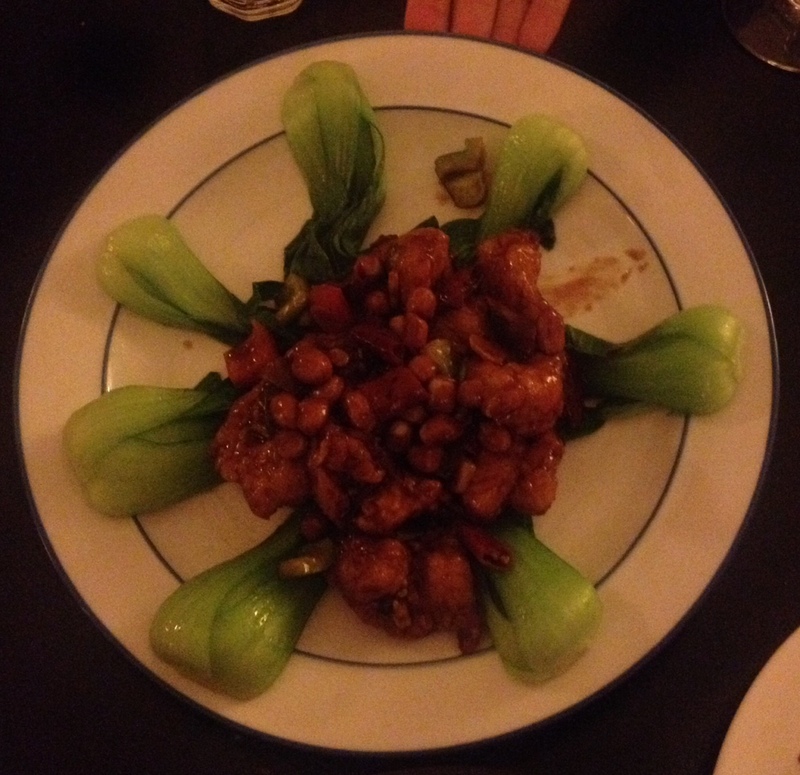 In addition to our cooking classes, we enjoyed wonderful meals in two restaurants. In Beijing, we shared a ten-course dinner at Black Sesame Kitchen that included five flavored eggplant, shredded lettuce stem, and black sesame ice for dessert! The restaurant is located in a hutong, a traditional neighborhood with narrow alleys and courtyard residences. The meal was pretty expensive, but it was a great treat for our family. 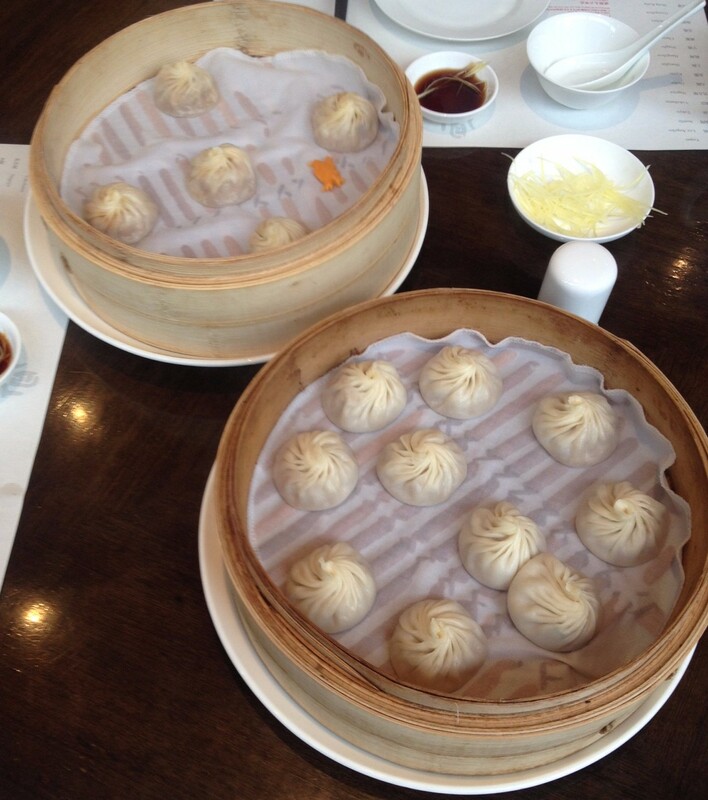 Finally, in Shanghai, we had a great meal of Xiaolongbao, soup dumplings cooked in steamer baskets. We ate at Din Tai Fung, a restaurant chain with several stores around Shanghai and other cities around the world. All dumplings have a thin skin and sixteen delicate folds, and they are filled with various broths. We especially loved the pork dumplings and the crab dumplings. I still love Chinese food at home, but I have to agree with the young lady from our town. These meals in Beijing and Shanghai were the Best Chinese Food Ever! This entry was posted in China, Family Travel, Travel and tagged China, Family Travel, Travel on June 6, 2015 by Dean Allen.